Kodokan Boston is a non-profit organization dedicated to the practice of the Okinawan martial arts of Goju Ryu Karate-do and Matayoshi lineage Kobudo and the Feeding Crane Gong’fu of the Liu family from Taiwan. The dojo was founded in 1990 and in the early days we trained in a park or the basement of one of our members. 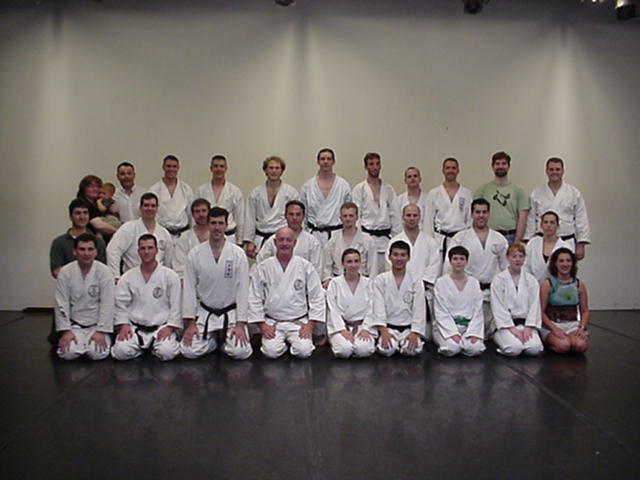 In 1993 we moved to Green Street Studios in Cambridge MA and stayed there until we moved to our own dojo in Waltham in 2009. As a non-profit none of our instructors are paid. We teach and train because we love it and hope to share our practice with others. In our nearly 30 years in the Boston area we have developed a closely knit dojo community committed to the practice and development of our arts. Our goals in our training are the development of the body, mind, and spirit and the improvement of self defense skills. Working towards these goals means we train in a non-competitive environment; members work not only to improve themselves, but to help other members improve as well. We do not participate in competitive events, in or outside of the dojo, as we do not feel that competition is in alignment with our goals. We aim to train hard, work together to develop our skills, and enjoy our training. If this kind of training, training for adults interested in practicing a classical martial arts system with other serious students, interests you, please contact us, we would like to hear from you. Michael, if you are interested in training with us please get in touch by the email or phone in the Contact section. We look forward to hearing from you.